The North Port Police Department is signing up with the Ring Video Doorbell service to help solve crimes. The security service currently has a free app called “Neighbors,” that lets neighbors share videos with each other of suspicious activity in their area. The North Port Police Department is now a member of the app, so residents can share videos directly with officers. 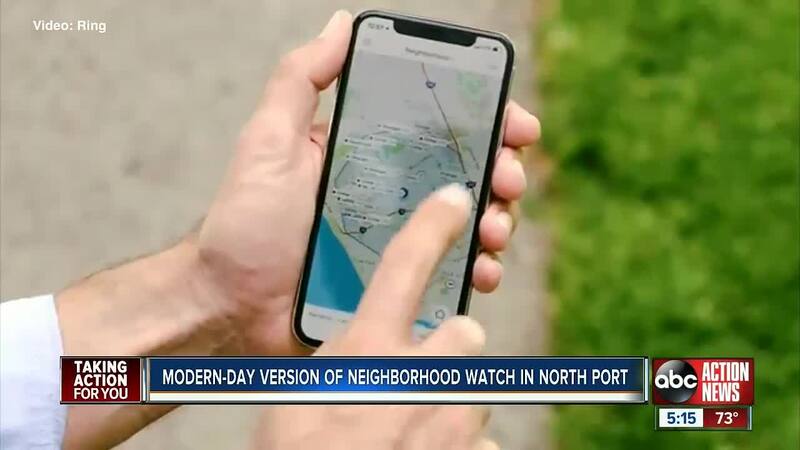 NORTH PORT, Fla. — The North Port Police Department is signing up with the Ring Video Doorbell service to help solve crimes. The security service currently has a free app called “Neighbors,” that lets neighbors share videos with each other of suspicious activity in their area. The North Port Police Department is now a member of the app, so residents can share videos directly with officers. “The police department and the neighbors app would work in conjunction in looking at real crime and safety concerns going on in the community,” said Deputy Chief Chris Morales. Anne Gallant recently had a ring system installed. She said the app has already given her useful information about crime in the neighborhood. "I have gotten updates on this about a couple car break-ins, I can send these videos to other neighbors so I can give them a heads up,” said Gallant. Officers said they will analyze the crime information they receive from the app. "We can put out that information saying there has been burglaries if anyone has information please let us know,” said Gallant. Ring is also giving the North Port Police Department ten systems to give to residents in low income areas.